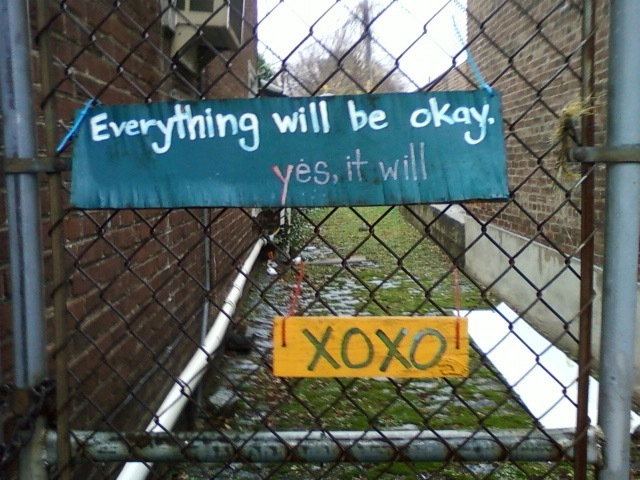 A while back I found myself walking the streets in my neighborhood after having a particularly difficult day – and just by chance I happened to look up and notice this sign hanging on the fence in front of an alleyway. This simple message, “Everything will be ok. yes, it will” left by some anonymous person, was enough turn everything around. It may sound silly to think that an anonymous message could help that much – but really I think that it did. I caught the image on my cellphone and referred back to it periodically, and in this very subtle way, it was a reminder that I was not alone. Someone else had felt the same way. The message sat with me and it began to crank open the door that I had slowly been nailing shut. It gave me hope and a sense of connection. It helped give me the energy to take action, to reach out to others, to face what I needed to face. And then eventually, things got better. Since I’ve taken some time off this summer, I’ve been enjoying a further exploration of the city, roaming different neighborhoods and taking in the growth and change that they too, have to offer. 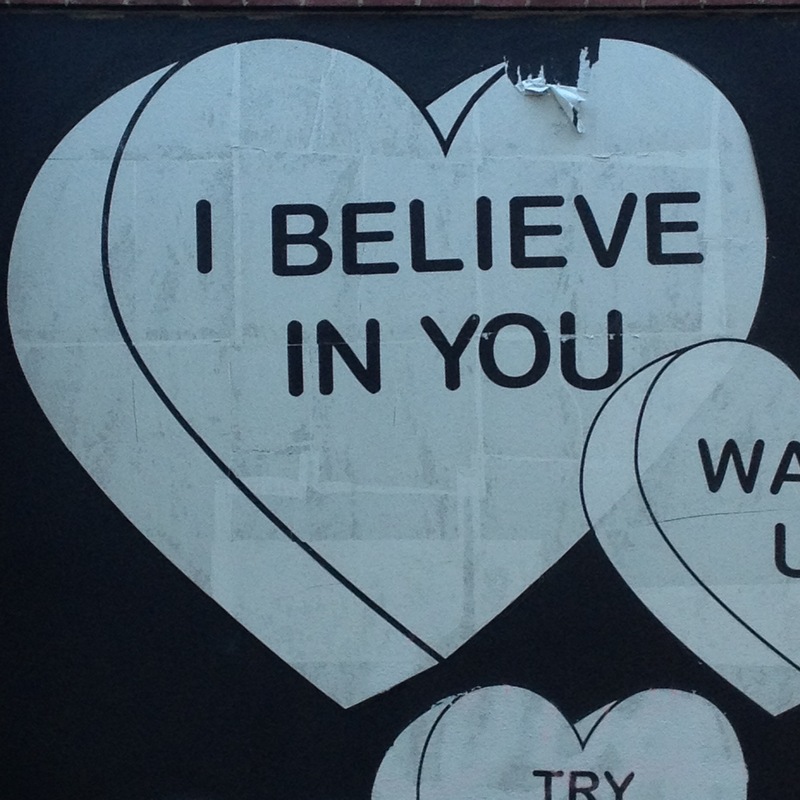 I still try to make a point of capturing positive messages that I see here and there and lately I’ve been coming across a whole bunch of them in the form of conversation valentine heart drawings plastered on unsuspecting walls throughout Philadelphia. 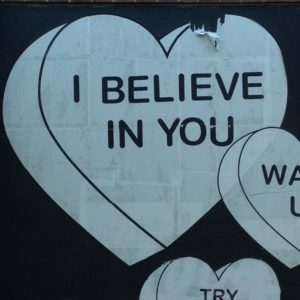 I like to think that the collective unconscious of the people in this great town will only benefit from messages like “You Got This” and “UR so Rad.” It turns out this body of work, called the Goth Hearts project, is the brainchild of Fishtown artist Amberella, who was recently diagnosed with Ehlers-Danlos Syndrome, a rare connective tissue disorder that can make everyday life extraordinarily painful. You can check out her story here. 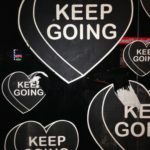 While running some groups last week, it came to my attention that there are still so many people out there, on the path towards ED recovery, who still question if actual recovery is truly an option. 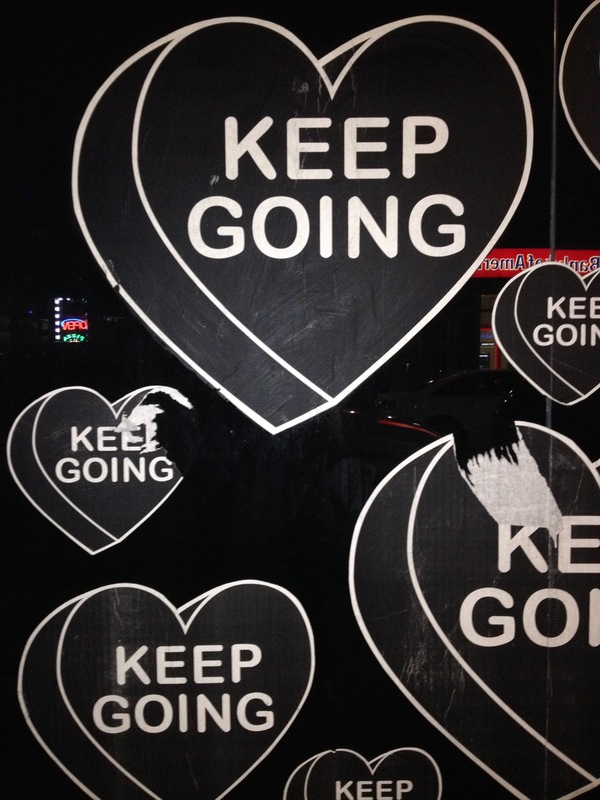 This link is for you – some inspiring stories here, check them out. Copyright 2017 © Rachel Braun, All rights reserved.